Its my first time I bought some khadi products and I am going to review it. Remove dead cells, blackheads & impurities which block the pores of the skin. Gives the glowing complexion soft & smooth. Apply the scrub on the face. Leave it for 10-15 minutes for drying. Scrub with gentle hands & rinse with water. Fuller Earth, Almond, Tulsi, Sandalwood Powder, Wheat Germ Oil, Neem, Honey, Walnut Grains, Cream Base. I took enough amount to be applied to cover face and neck. 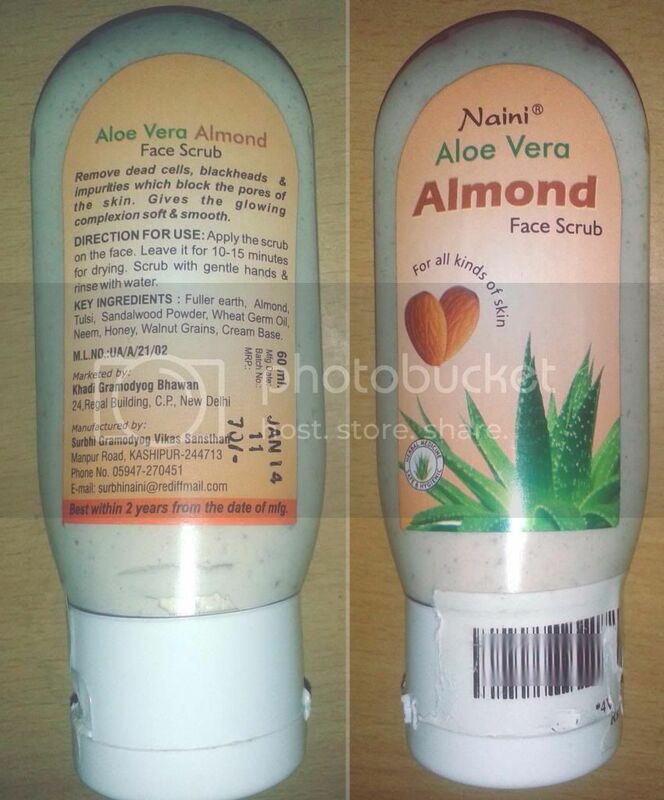 I found that this Scrub is not as grainy as other scrubs are. I continued with the directions mentioned on it. I applied it all over face and neck area and left for 15 minutes. Once it got dried I scrubbed with gentle hands, I found it dint stretch my skin while scrubbing. It did removed dead cells. Then I washed face with water and pat dried skin with towel (never rub your skin!). I felt it made my skin baby soft :D and i felt the softness for so long. Not at all harsh on face skin, grains are in appropriate quantity for face. Good Packaging, transparent bottle to see how much product left. Availability. I purchased it from Khadi Gramodyog Bhawan, CP, Delhi. Yes I will surely get this face scrub again. Is it "Does what it claims!" Product? Do share your experience in comments.